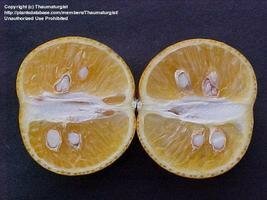 Citrus - A Short Primer on How To Grow Them. They are best known for their wonderful fruits but these stunning plants are great looking. With their green, shiny leaves, these plants are stunning in the garden or in pots. They are great in the landscape where climate will permit but are equally lovely in the house for a houseplant. 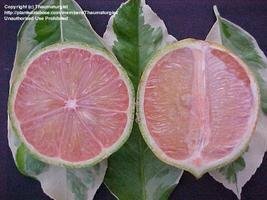 This is a short primer on the ins and outs of citrus ? the next great plant adventure. 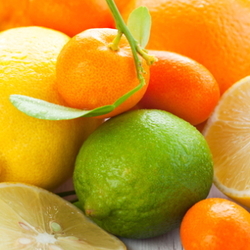 The most popular of all the citrus are the lemons, limes, oranges, grapefruit, and tangerines. There are more, and less popular, varieties of each plant that can be grown for their size, shape, blooms, and fruit. There are even several cultivars on the market today with variegated leaves---stunning mixes of green and white. Citrus trees grow in a lot of different soils but will not stand for salty spray or for poor draining soils. 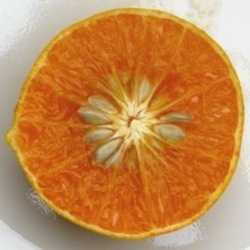 Citrus are very sensitive to climate and just a little cold weather will change the flavor of the fruit. Lemons and limes, on the whole, are the least cold hardy of all citrus but Satsuma mandarins can be grown anywhere that doesn't go below 15 degrees in winter. Citrus nursery trees for landscape use are almost always grown in containers and are simple to plant and grow. They should be bought locally and you should inspect the plant before you buy to insure the strength and vitality of the tree. In cooler climates where you cannot always look at the trees before you buy or where you have to mail order a tree, look for a place with a good return policy so if the plant ends up being less than you expected you have a way to back up and replace it. Citrus trees grow best in full sun but they will take some shade. Care should be taken not to plant in a low pocket even in warmer climates seeing they can quickly reach too cold a temperature even in semi tropical areas. The size, shape, vigor, and strength of the branches will determine the tree variety you select and plan to grow. It is better to plan ahead and, if you need a pot plant, get a plant suited to the pot plant culture. Planning ahead for citrus is the key to great growing. 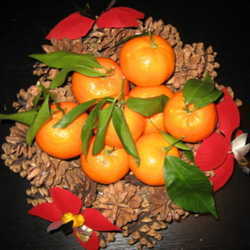 Tangerines do not lend themselves to pot culture seeing their branches are often very brittle and need some space to keep the fruit on the plant. Lemons, on the whole, grow way too fast for most pot culture and do not even look good in the home landscape if care is not taken to make sure this plant grows balanced. The Meyer Lemon is the exception to the rule. It is great for pot culture and will look good in the garden. Almost all citrus will produce in pot culture, and most will have a long life span doing so - a good thing for the home grower. The trunks of young trees often need protection from the sun. Wrapping the young trunk is often the only way to keep the tree growing and very happy. Young trees need watered deeply at least once a week. In pot culture all trees will be treated like young trees their whole life and will need deep watering once a week and might need water once a day if left outside in the warm summer months. Citrus are heavy feeders and they need a high in nitrogen and trace element feeding once every five to six months. Established trees in 18 inch pots will need 4 ounces of fertilizer with 8 percent nitrogen every month during the growing season and hold off in the colder months. On the whole, if your tree needs feeding, it will have weak green leaves and won't bloom and fruit at a normal rate. Fruit growing in the ground does not need to be thinned but in pot culture it can really be helpful to thin the fruit to keep the plant from being stressed. Growing Citrus can be a rewarding experience. In the dead of winter, there is just something about being able to smell the intoxicating smell of the blooms, or reaching out and picking the ripe tropical fruit that begs the home gardener to grow them! You will be the envy of friends and neighbors when they come to your home and see the tree, sitting there covered in fruit. Their simple wonder and awe will be all the reward needed for the work and planning it takes to grow these wonderful plants. Thank you to Thaumaturgist for the images. I am a pentecostal preacher, gardener,husband, and a father. I love natives, daylilies, iris, and roses. I love teaching others, be they children or adults, about the garden and plants.